It is with deep gratitude and a full heart that the Women's Community League of Weston thanks Katherine Westell for the incredibly generous gift bequeathed to our organization. Katherine was a long-standing, loved member. Her generosity will further the WCL philanthropic, educational and social mission. It's difficult to believe we are entering March! The Garden Club will usher in Spring with a trip to the Boston Flower Show. Everyone is welcome to attend. On March 22, the WCL reserved an area at Waxy O’Connors in Lexington. A fun “Irish Pub” with dinner, music, and dancing. The Cover Band is RoZwell which plays a mix of Country, Classic Rock, and Pop. Bring your dancing shoes! Dining Around (March 27th) will try out the new Federalist restaurant in Waltham: a steakhouse and Italian inspired menu. Please save the date for the WCL Membership Drive at Kelly Renner’s house the evening of March 27. Bring your friends and neighbors to learn about our mission! Let’s show everyone we’re a fun, inviting group while reconnecting with each other! If you have any question regarding the calendar, events, membership, check out our website, send an email, or give me a call or drop by the Barn on a Tuesday. 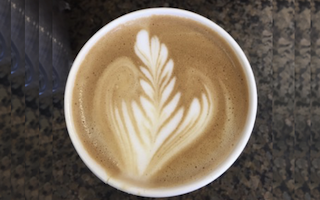 Thank you for being a WCL member! p.s. 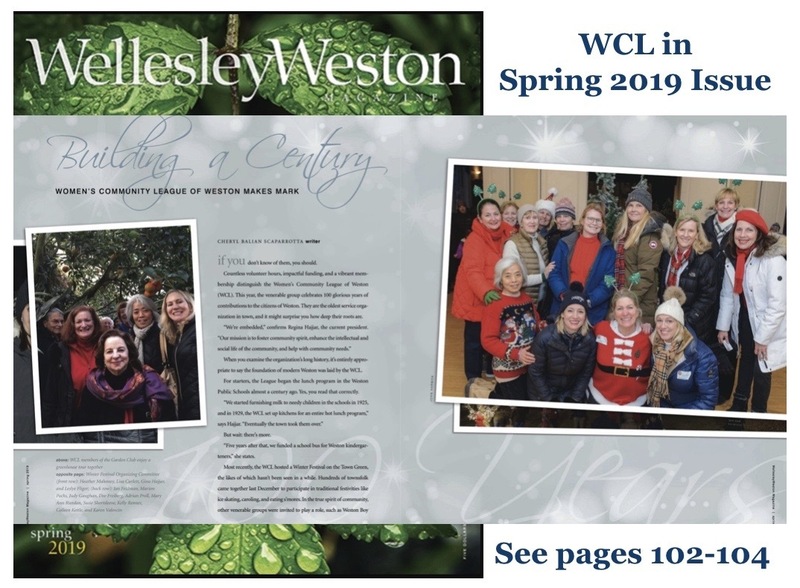 Check out the Spring edition of the Wellesley Weston magazine. "WCL Makes a Mark" is on pages 102-108 (print edition). Click here to see article! 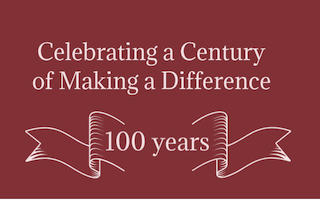 social, philanthropic and educational benefits to the Weston community. The League began in 1919. It set up headquarters in the "Yellow Barn" at 494 Boston Post Road, paid $15 a month rent, and opened the "Willow Plate Tea Shop" and "Food and Fancywork Exchange" to raise funds for their projects. WIthin months, the original 13 women captured the attention of the press and interest of the towns' women. Within the year, there were an Educational Committee, Civics Committee, Social Committee, Art and Music Committee, Program Committee and Recreation Committees, which soon became the Welfare Committee. The Spotlight this month is on the WCL Clothing Exchange. After 76 years of serving the Community of Weston, and 44 years in one location, this will be our last season in the Josiah Smith Barn. We need your support to make this the best season ever and help us reach our goal of $10,000. We are asking all our members to donate in-season gently used clothing and household items or make a donation directly to the WCL Service and Scholarship Fund. Our doors open Tuesday, September 11, 2018. If you are unable to bring your donations (Tuesdays 10a.m.- 4p.m. ), please contact Adrian Proll for our concierge service and pick up at your convenience. We hope you’ll enjoy a little history on the Clothing Exchange. The Women’s Community League was established in 1919. It was organized to continue the cooperative service when women rolled bandages, knitted sweaters, mittens and scarves for the War effort. The Children’s Exchange began officially in November, 1942 under the “Committee of Public Safety”. To meet Weston residents needs, they planned a “second-hands goods” sale. Identifying continued need, the Children’s Exchange opened in the Unitarian Church on January 3rd,1943. The following year, it moved to the Town Hall in the Fall of 1943. Help support WCL through your purchases at Amazon! We are pleased to announce that WCL is now a registered charity at Amazon and is part of the AmazonSmile program. For every order placed at Amazon through AmazonSmile (you must first select Women's Community League of Weston as your charitable organization), Amazon donates 0.5% of the price of your eligible purchases to WCL. AmazonSmile is the same Amazon you know. Same products, same prices, and same service. Or click on the AmazonSmile banner (image) on the left. You may wish to bookmark the URL to make it easier the next time you make a purchase at Amazon. 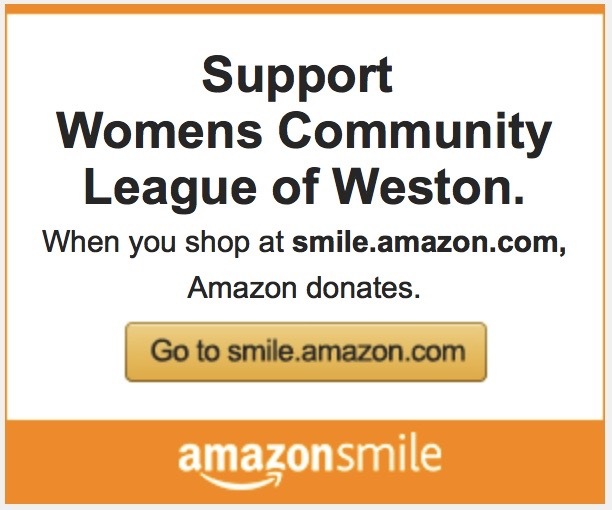 To shop at AmazonSmile simply go to smile.amazon.com from the web browser on your computer or mobile device, designate Women's Community League of Weston as your Charity of choice. You may also want to add a bookmark to smile.amazon.com to make it even easier to return and start your shopping at AmazonSmile.